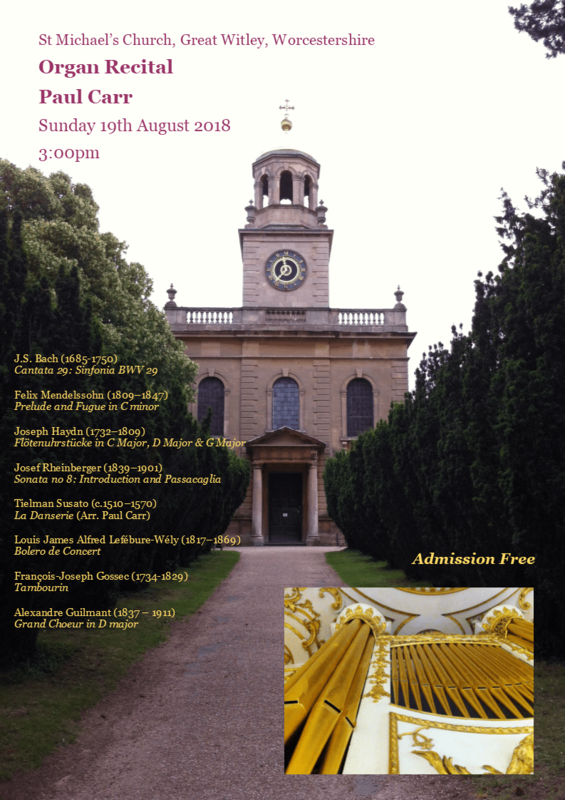 Wednesday 29th August – 1.15 p.m.
During his time in Weimar Bach was influenced greatly by the music of Vivaldi and transcribed a number of his orchestral works for solo harpsichord or organ, and no doubt learnt much about contrapuntal writing in the process. BWV 593 is an arrangement (one might even say a refinement!) of Vivaldi’s famous Concerto for Two Violins in A Minor, RV 522 No. 8, from L’Estro Armonico. Gustav Holst began work on his orchestral suite The Planets just as the First World War was beginning, and its opening movement Mars – The Bringer of War, conveys much of the composer’s sense of horror at the violence, brutality and sheer stupidity of human conflict. 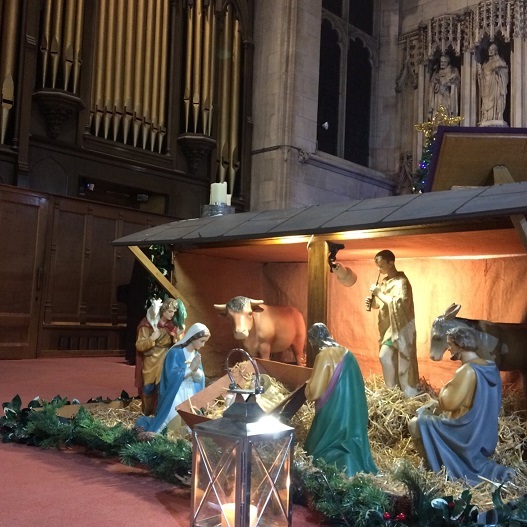 The suite’s second movement, Venus – The Bringer of Peace, which we hear today in an arrangement for solo organ, dissipates the brutality of the first movement with its relaxed lyricism, restoring a state of poise and dignity. Yet it is not simple in harmony and texture and some of the themes are fragmented. Like the peace which came after 1918 repose was only temporary and far more challenges remained (and, clearly, still remain) on the human journey. John Stanley’s Trumpet Voluntary requires little introduction. Stanley was a good friend of Handel and conducted many of Handel’s works in and around London, but was most famous as the organist of St Andrew’s Church, Holborn. His three volumes of organ voluntaries from which this piece is taken are perhaps his most enduring and popular legacy. Rubrics – A Liturgical Suite for Organ – was commissioned from Dan Locklair in 1988 and first performed in Pittsburgh in April of that year. 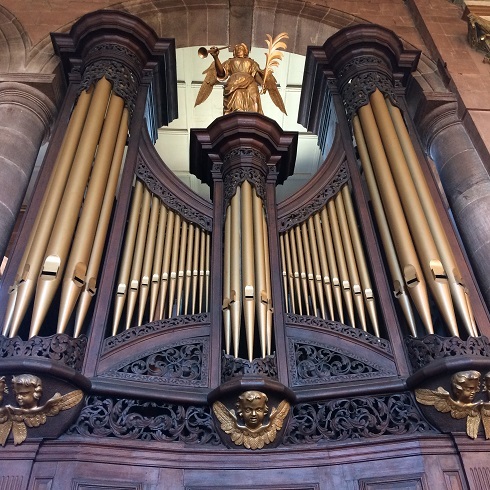 Each movement takes its inspiration from the rubrics in the Book of Common Prayer and it is possibly one of the most frequently played organ works by an American composer. It featured in the funeral service of President Ronald Reagan, and during the inauguration of President Obama was played in memory of Martin Luther King Jr. at Washington National Cathedral. 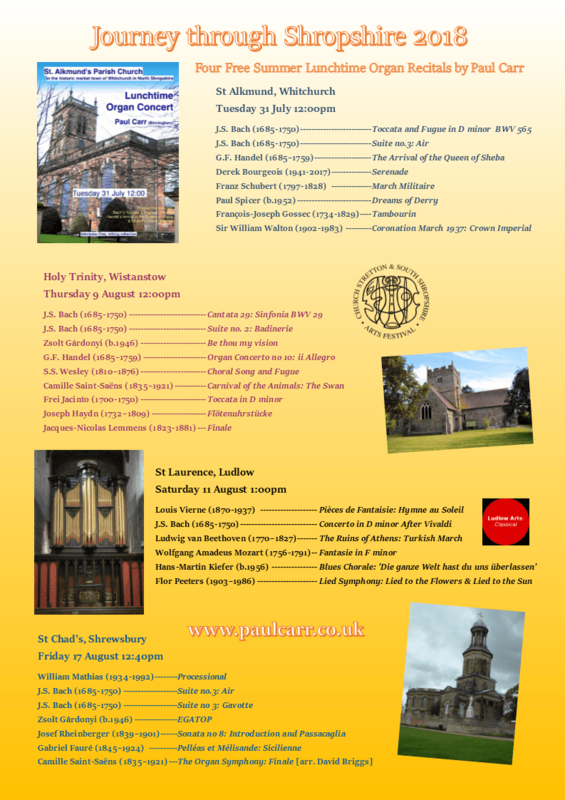 Next post Details of Sunday Afternoon Organ Music 2019 Series released.